LABOUR and Social Welfare minister, Petronella Kagonye, who was last month slapped with a $500 000 lawsuit for allegedly dumping a corpse at a war veteran, Oswell Gwanzura’s premises in Goromonzi, has denied the allegations and requested the freedom fighter to clarify certain issues pertaining to the matter. Sometime last month, Gwanzura approached the High Court seeking compensation from the minister, claiming Kagonye had defamed him and dumped the corpse of Taurai Jera, at his home. Gwanzura said the incident occurred on November 7, 2015 in Goromonzi when Kagonye is alleged to have used her father, Stanely and some “hired thugs” to carry Jera’s casket, which they paraded at the war veteran’s homestead and invited villagers to witness the unfolding drama. But, in response to Gwanzura’s claim, Kagonye, the Goromonzi South MP, requested the war veteran to prove his status and provide proof of where, when and how he was defamed. “Was the plaintiff present when the alleged defamatory statement was made? If not, how did plaintiff come to know of the alleged defamatory statement?” she asked in her response, challenging Gwanzura to state the cause of Jera’s death. The minister demanded Gwanzura clarify how she fabricated the allegations of murder against him and how he came to know of the alleged fabrications. Kagonye challenged Gwanzura to clarify whether he was present, what date and day it was, when Jera’s corpse was brought to his residence by her father, Stanely, as alleged. “Was Jera a member of Zanu PF during his lifetime? Who spread the message that plaintiff murdered Jera, on WhatsApp and text messages? Besides WhatsApp and text messages, on which other social media platform, if any, were the alleged statements published and by whom?” she asked. 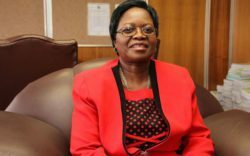 Turning to the issue of her father allegedly dumping the corpse at the war veteran’s house, the minister said she wanted to know what legal action, if any, Gwanzura took against him and the alleged hired thugs.